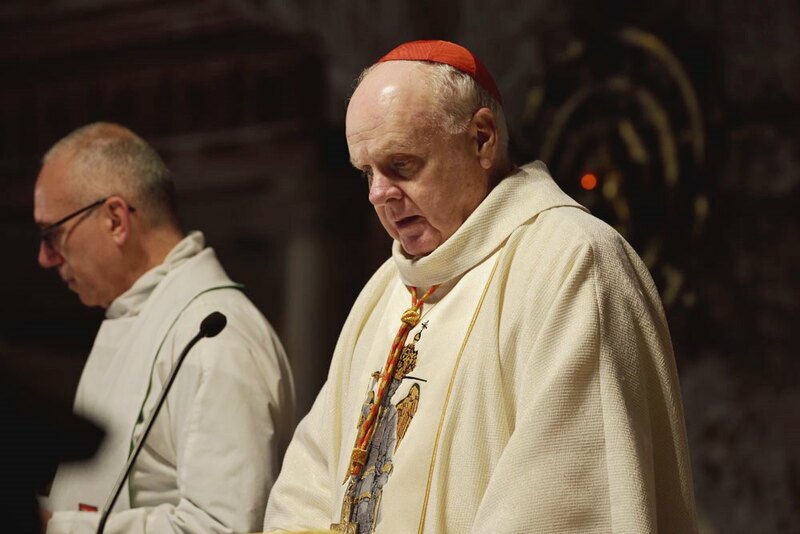 «It’s the first time I come to this special sanctuary»: with these the words His Eminence Edwin Frederick O’Brien shared the joy of being for the first time in the special sanctuary of St. Michael. 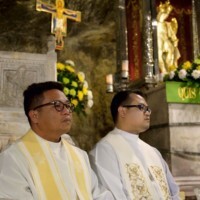 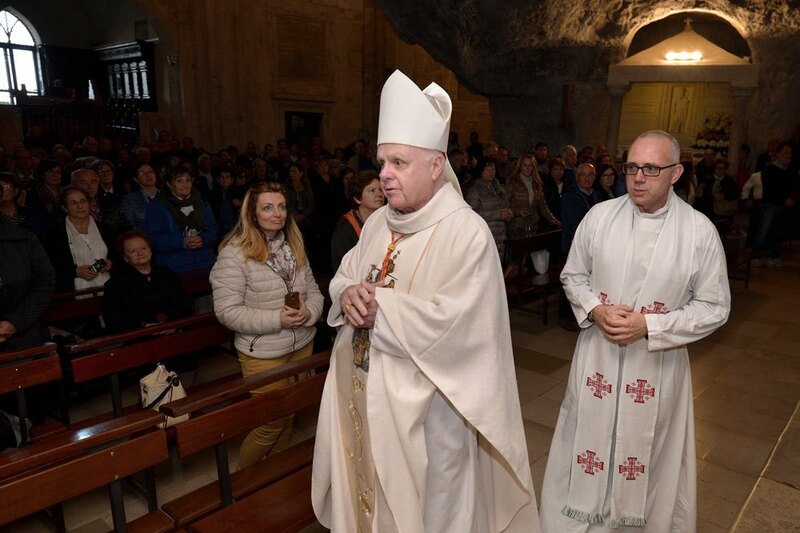 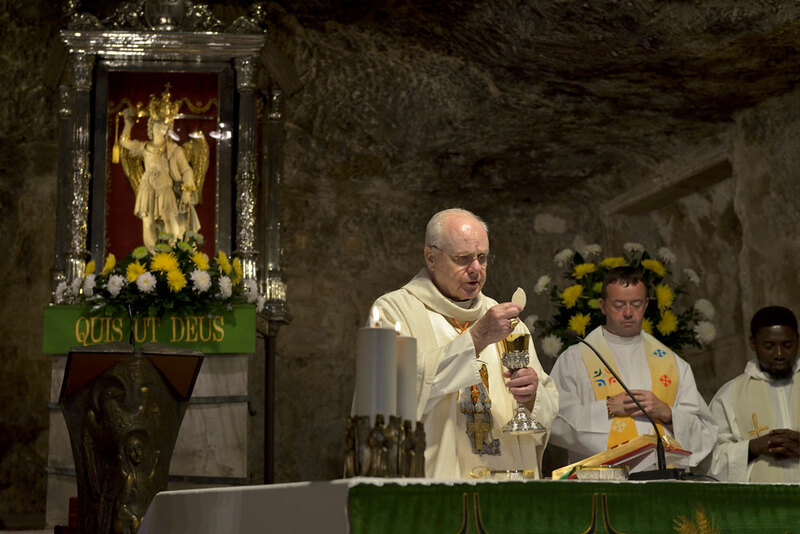 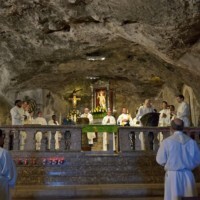 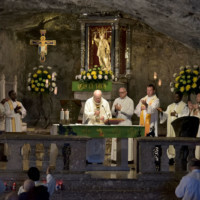 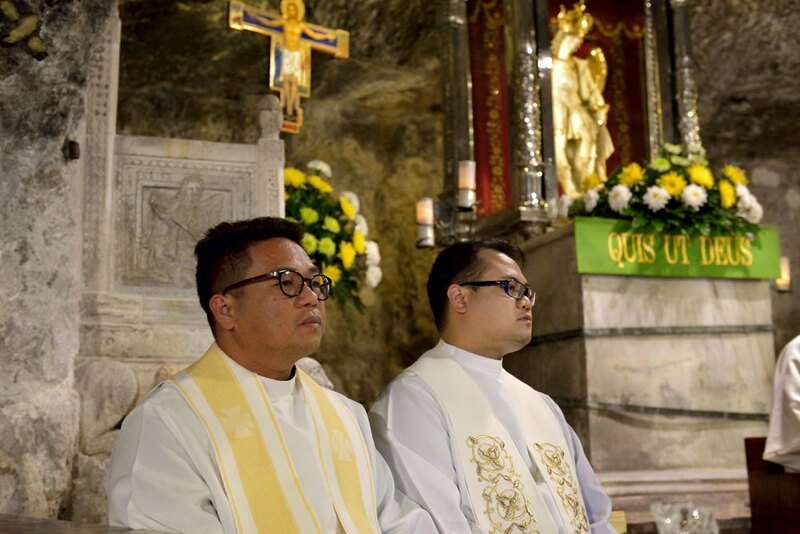 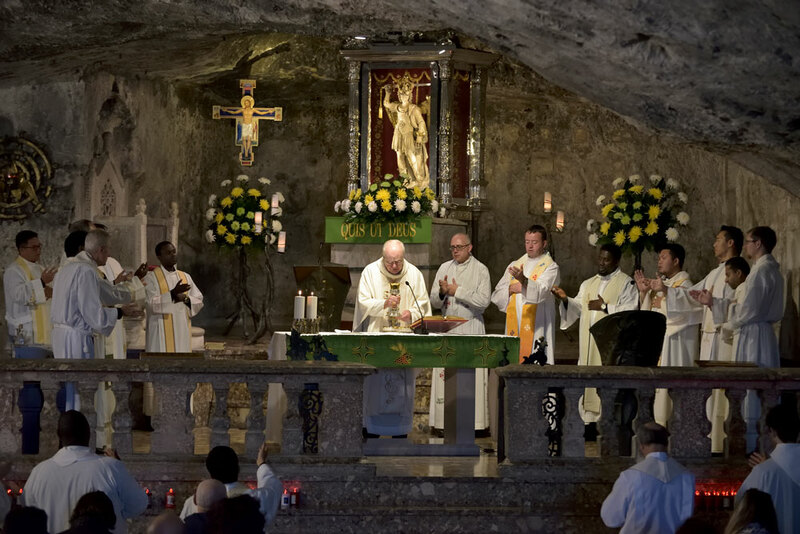 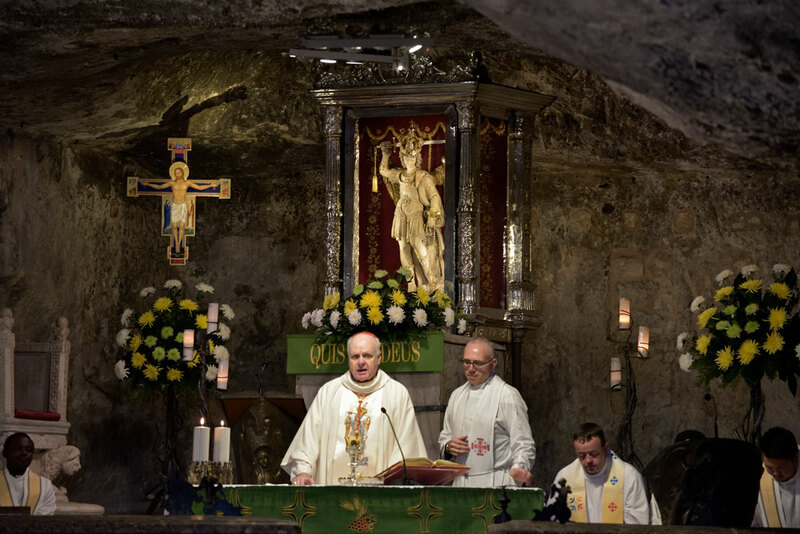 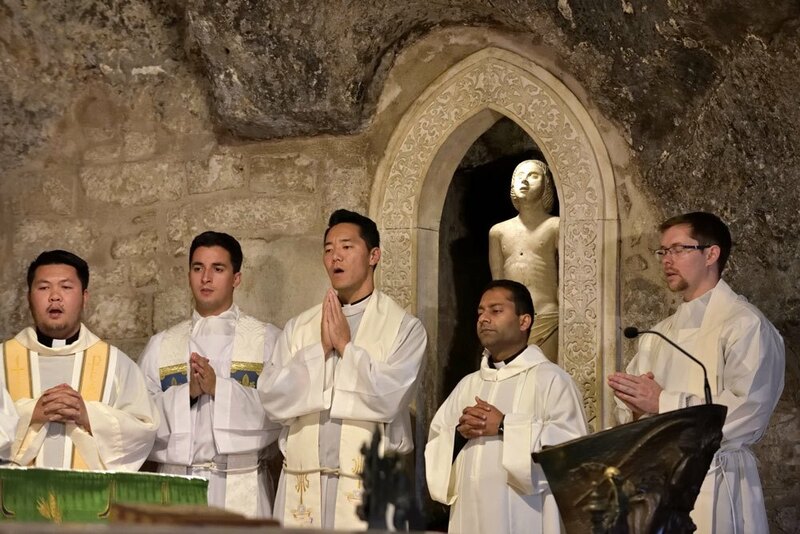 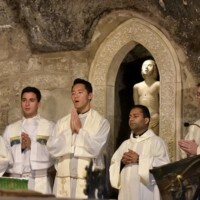 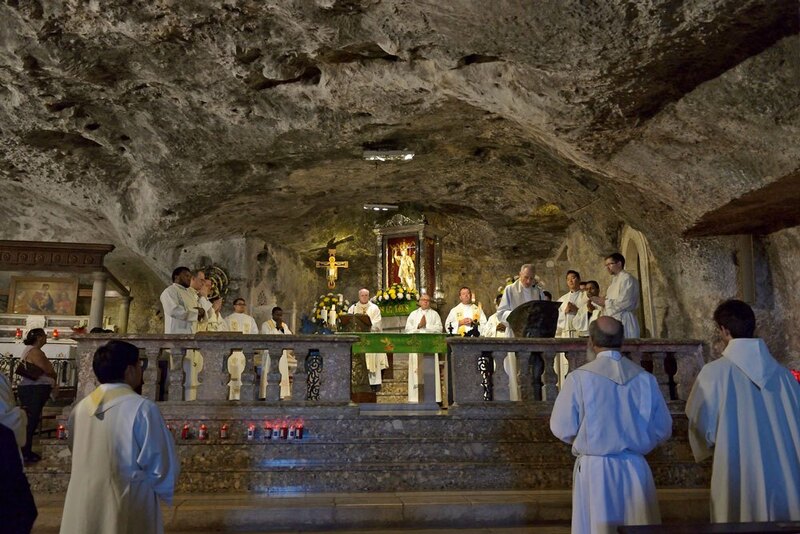 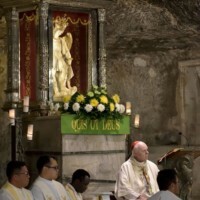 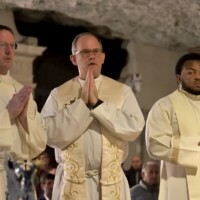 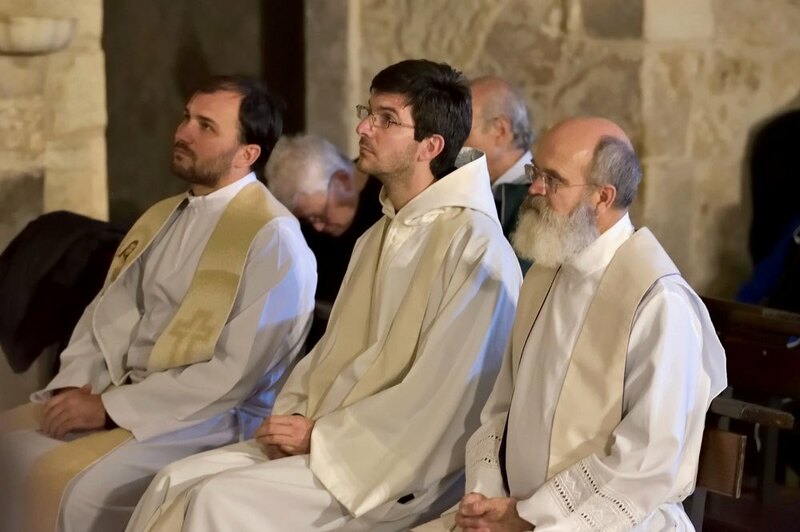 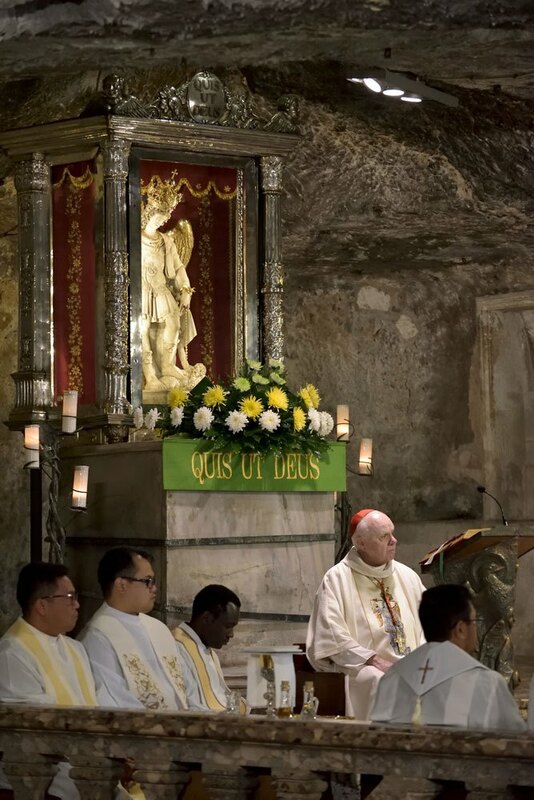 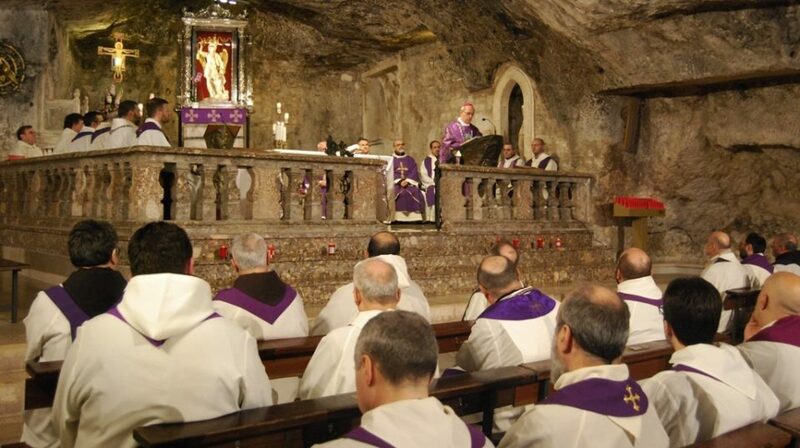 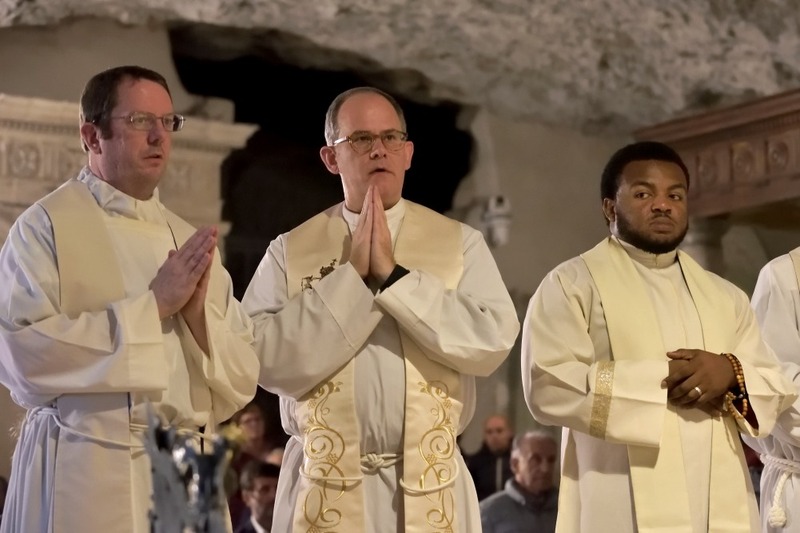 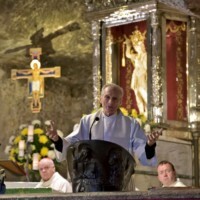 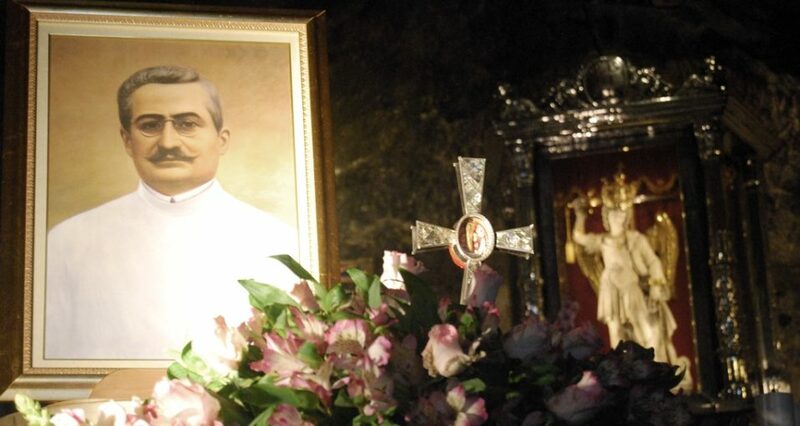 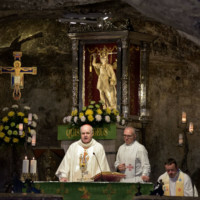 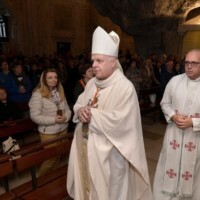 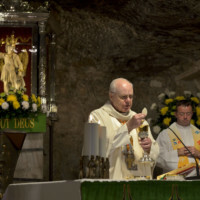 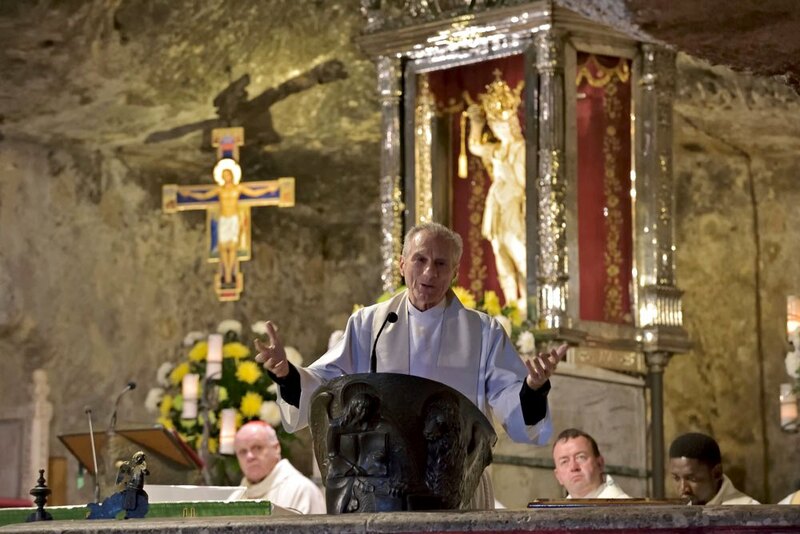 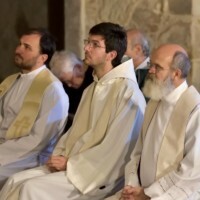 On 27 October, in fact, the cardinal presided over the Holy Eucharist in the Sacred Cave at the end of three days of spiritual exercises held in San Giovanni Rotondo. 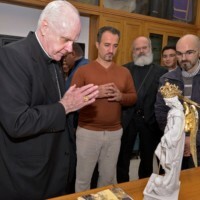 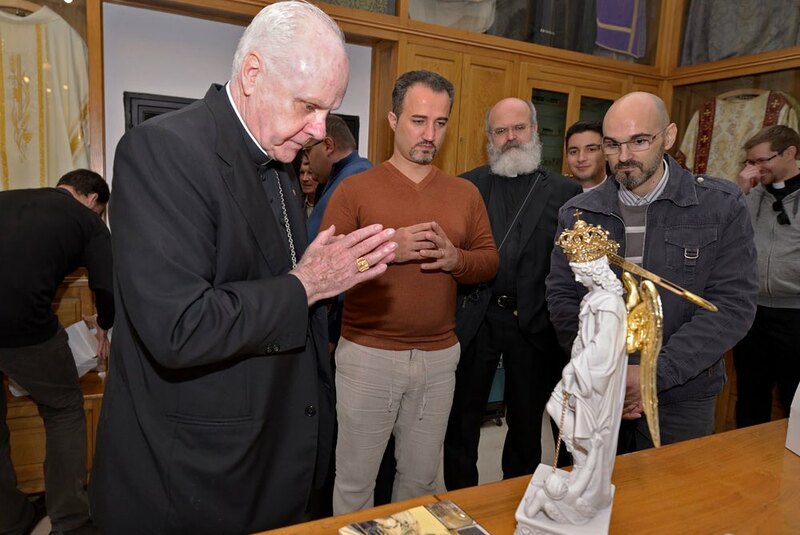 With him, 20 priests, all of English, students at the Pontifical North American College where, from 1990 to 1994, O ‘Brien played the role of rector. 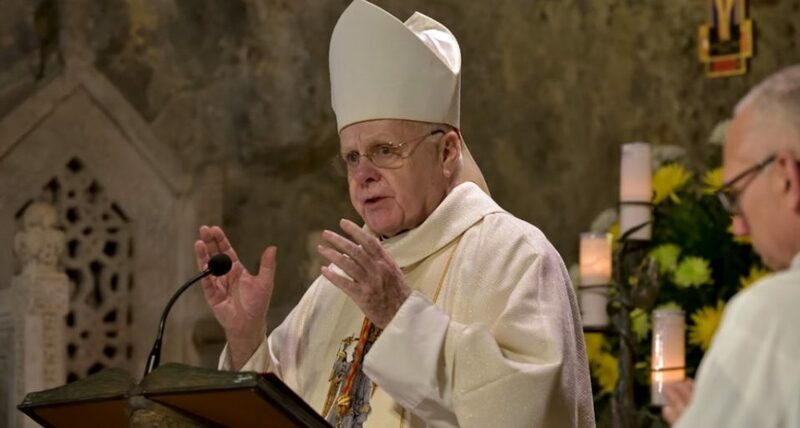 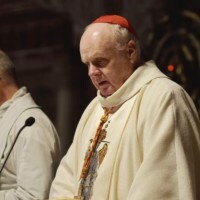 The American cardinal also boasts a rich curriculum having been Auxiliary Bishop of New York, Archbishop of Tizica, Ordinary Military Archbishop for the United States of America, Metropolitan Archbishop of Baltimore. 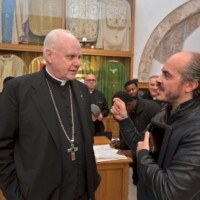 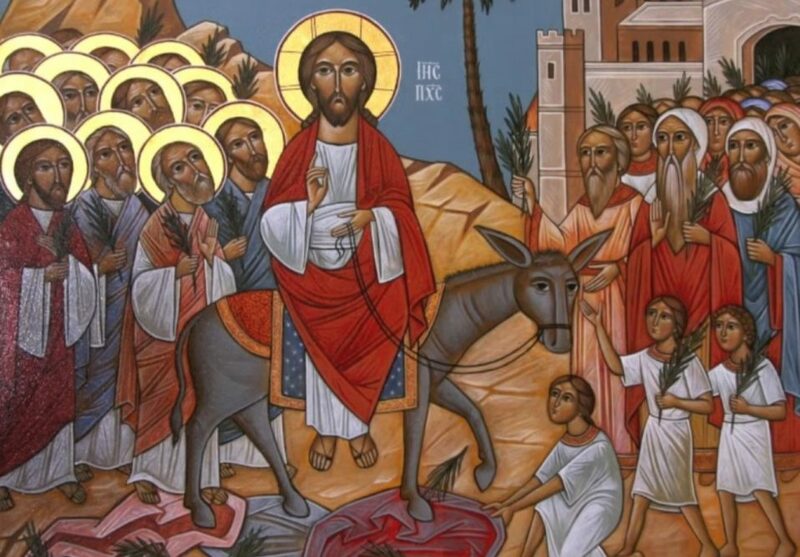 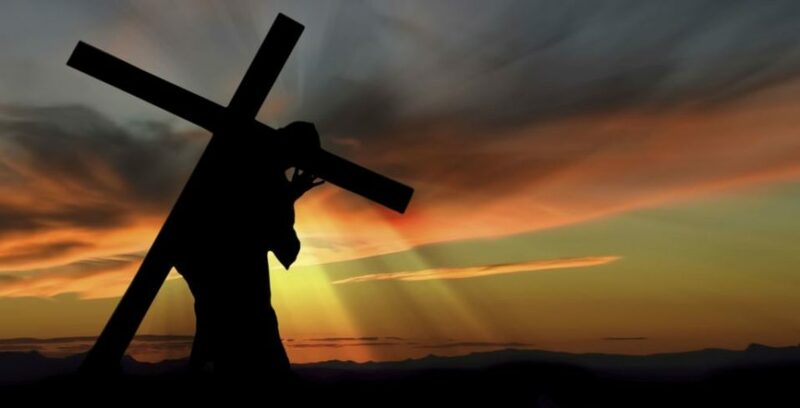 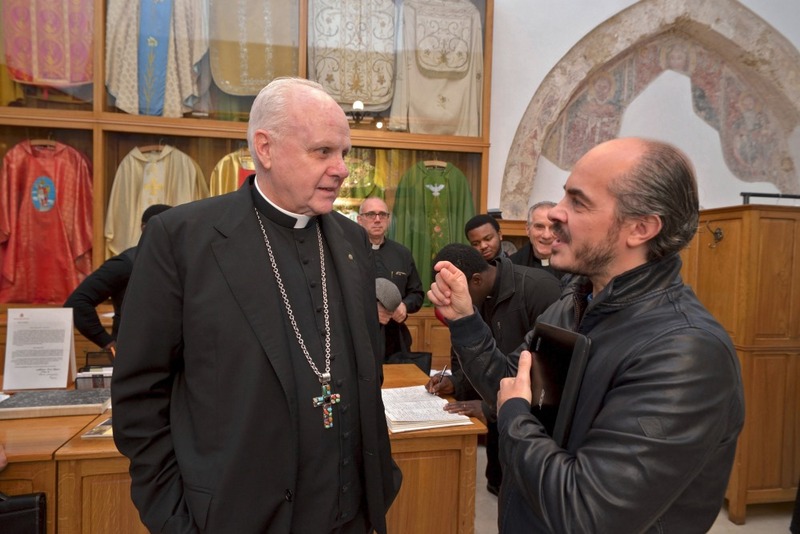 In 2012, Pope Benedict XVI appointed him cardinal deacon of San Sebastiano al Palatino and Grand Master of the Equestrian Order of the Holy Sepulcher of Jerusalem.